David Milsom and Georgina Griffin's wedding in 1903 in the grounds of The Duke of York pub (now demolished) in Holloway, Malmesbury. We received a fascinating email from Linda Finch about the Rising Sun pub, which was once run by her ancestors. She told her story about the happy and sociable place which existed before 1957. We spoke to Jane Griffin who was delighted to learn about her parents in much happier times and authorised us to publish this story. This is Linda's story. My ancestors ran the Rising Sun pub from as early as 1861 until 1925. My three times great grandfather Joseph Milsom, then his son, David Milsom, senior, and later his son, David, junior, were the landlords. There is a reference to the pub in the 1840 Tithe Apportionment record. At reference 98c it lists Philip Johnson as the occupier of the Rising Sun Inn, garden and cottage and the owner as William Wiltshire. The road down Box Hill was cut through the fields after 23 May 1839, so the pub probably dates from that time. It was called the Rising Sun because it was the eastern-most part of the parish of Box. The tenancy of the pub in the Register of Licences of 1848 shows Joseph Milsom as the registered beer retailer. By 1851 he had sub-contracted the work to George Gale, the landlord who had previously run the Horse and Jockey Inn. Before Joseph Milsom took over the pub, the previous proprietor was George Gale. He was still living there in the 1851 census but had left by 1861. In 1860 the pub was put up for sale. It was described as Lot 3: A Messuage and Beer-house, called The Rising Sun, fronting the turnpike road (from Chippenham to Bath) ... with a good garden, stable and large building attached, intended for a malt-house, with bake-house and extensive cellarage. Also a convenient cottage attached to the said beer-house. The advertisement goes on to say that there was an adjoining piece of arable land in the occupation of Joseph Milsom. This may be the farm referred to in family anecdotes, possibly used for growing hops needed for brewing. Like many of the beer-houses of this time, the pub was probably not viable on its own, so the landlord had to find other ways of making money. One obvious way was to brew your own beer and this appears to have happened in this case. David senior was also called a farmer, although the location of his land remains uncertain. There is a mention of the farm in 1892 when an inmate of Chippenham workhouse and a returned convict maliciously set fire to two straw ricks and a pea rick belonging to David Milsom, landlord of the Rising Sun, Box Hill. After the death of David senior the farm was sold and the proceeds divided between the family. One of his sons, George Arthur Milsom (my great grandfather), is reputed to have lost his share of the farm through gambling and subsequently left Box and moved to Camberwell, London to work in the tailoring trade. 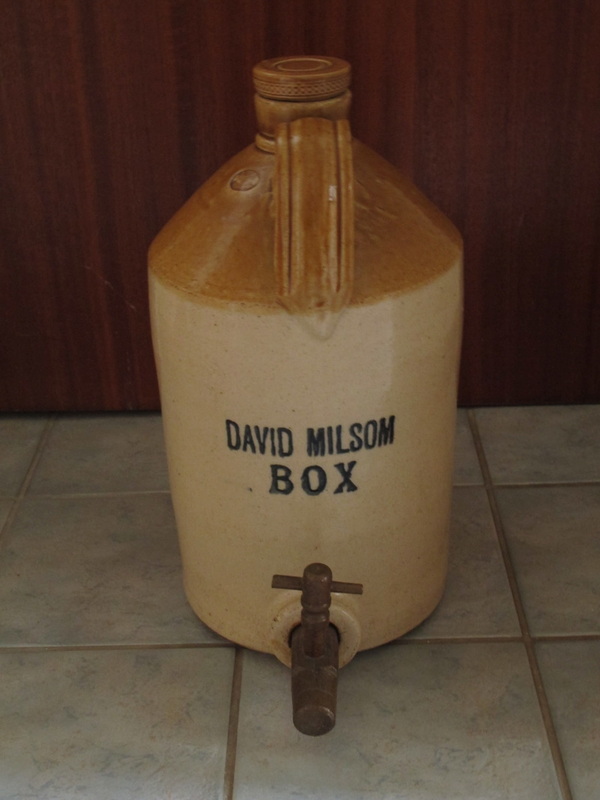 In 1907 David started an entirely new business, the bottling of mineral water and lemonade, selling it under various names. By 1909 he was applying to Chippenham Council for permission to alter a building adjoining the Rising Sun for use as a designated mineral water factory. This trade is described elsewhere on this website. David Milsom, junior, (1856 - 1925) married Georgina Griffin in 1903. In the photo at the heading of this story is my great grandfather George Arthur Milsom (far left) with his wife Bessie (nee Daniell) holding their baby daughter, Margery Helen. I believe the little girl kneeling is my grandmother Winifred. It is possible that there were other connections between the Milsom and Griffin families as Mary Milsom, the daughter of my four times grandfather, James Milsom, also married a Griffin, Thomas Griffin. David Milsom ran the pub until his death in 1925. There is a possibility that David’s son, another David, keep the pub going for a few more years before he joined the Navy, but I can’t confirm that. After that the Milsom association with the Rising Sun ended after almost seventy years. Georgina appears to have died in 1942. In 1936 a new family came on the scene. Harry Smith ran the pub from 1936 until the early 1950s. The Smith girls, Joyce and Barbara, grew up in the pub and when Joyce married William Graham Francis Cyril (Bill) Griffin in 1951 the two of them took over the business and Harry passed the licence to Bill in 1955. So the pub passed through family connections much longer than I previously thought. 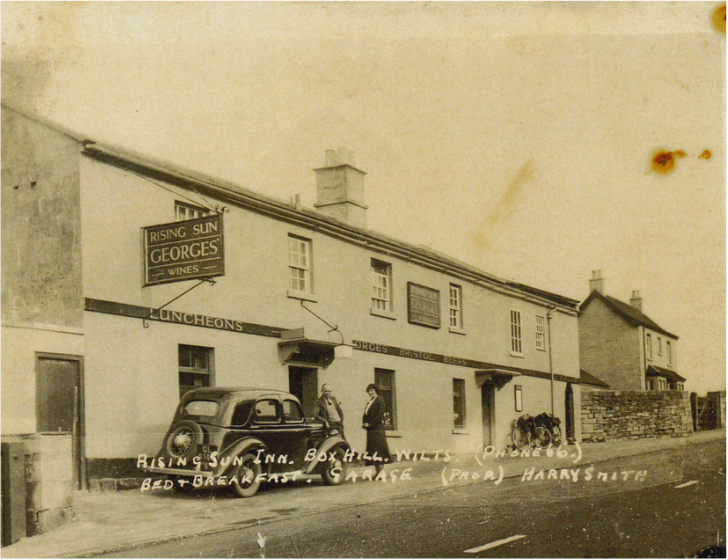 The photo below shows the pub probably as it was when Harry took it over. The building was two storeys at the front with cellarage and three at the back. The lower windows left to right are: the outside lavatory; the bar; a lobby; smoking room (or snug); cottage entrance; and the door on the right is the entrance to the skittle alley. Next door is the house Dorma, built by Eddie Callaway and his family in 1934. This photo courtesy Bob Hancock is dated about 1956. The Rising Sun was not a hard drinking pub. It was a bar where quarrymen could relax after their shift. At times it was described as a beer-house, allowed to sell only to in-house customers and after 1906 a beer and cider retailer with off-sales also. The entrance into the pub was also an amusing experience. On the wall was an enormous pair of horns of an English bullock, 6 foot 10 inches long with the base of each horn being 21 inches. It was said that together the two parts of the horns could hold 8½ gallons of beer. Mrs Smith said that they had been in the possession of the family for many years but there was no mention of anyone having drunk the horns dry. 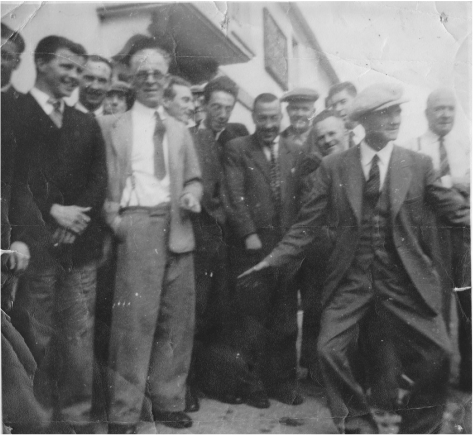 Harry Smith was a very popular and unusual character in the area. In 1937 he made the local newspapers for growing a radish 16 inches in length and 4¾ inches round. It was the same year that he applied for a licence to sell wine as well as beer and petitioned the magistrates with the signatures of 140 of his local customers. 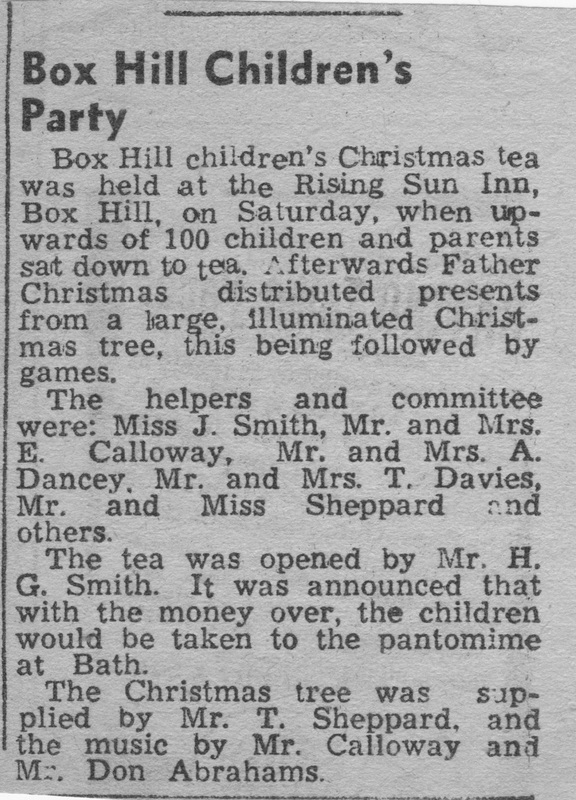 The pub was renowned for its hospitality to the children from the Box Hill area and it required considerable planning. Every October a jumble sale was held in the skittle alley to fundraise and tickets were issued to the children invited to ensure that they got into the right hands. It was held year after year in the period after the Second World War and became a highlight of the local calendar. The newspaper write up (right) dates from 1950 and the party below was in 1951. Joyce and Barbara were a part of the celebrations for much of their formative years and Bill and Joyce continued the tradition during their tenancy to ensure that the pub continued to be renowned for its hospitality and generosity. 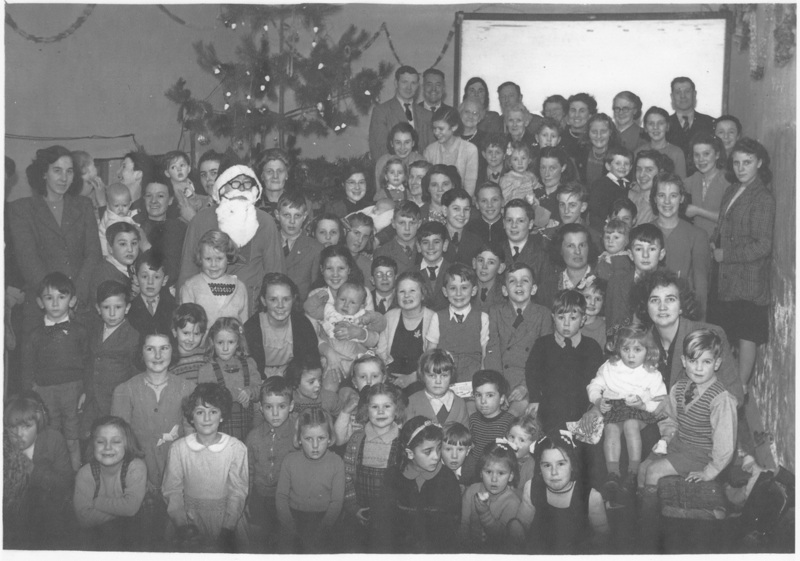 The generosity continued when the Hungarian refugees came to Thornypits in 1956. What they didn't know was that Joyce spoke four languages and could converse with them in Hungarian. It was a kindness that made the refugees feel at home in a strange country. Linda Finch wrote the following: Although I live in Kent I managed to spend a few days in Box in 2014 and thought it was such a lovely village. The views from Box Hill were fantastic and I thought how lucky my ancestors were to look out everyday on such beautiful scenery as I stood on the spot where the Rising Sun stood. I also saw Clift House where my grandmother, Winifred Milsom, stayed for holidays as a young girl in the early 1900's. My grandmother, Winifred Florence Emma Milsom (1895 – 1991), daughter of George Arthur, had fond memories of holidays spent with David and Georgina at the Rising Sun and remembered being taken for rides around the village in a pony and trap and feeling very grand. Winifred also stayed at Clift House in the early 1900s where David senior’s daughter, Eliza Milsom (d 1911), a trained nurse, ran a home for children with difficulties. Winifred always remembered being frightened of the horses coming in and out of the mine. My mother's maiden name was Griffin and she and Jane's father Bill were brother and sister. I remember Jane when my uncle John and aunty Lena visited us at my mother's house in Hazelbury Hill, Box. Perhaps this article about the happy times at the Rising Sun is a more fitting tribute to the memory of Bill and Joyce Griffin and their son, Andrew, than the tragic events of 1957. Much of the information about the pub during Harry Smith's time is indebted to Eric Callaway, who was a teenager next door at Dorma during the 1950s.